Milton Erickson (1901 – 1980) was a psychiatrist and psychologist who specialized in both medical hypnosis and family therapy. Erickson created a method of medical hypnosis that was able to reach the deep unconscious mind through the use of metaphors. This unusual form of hypnosis (or internalized awareness) is characterized by a blend of acoustic envelopes that can generate profound alterations in perception. Some of these envelopes include such things as shifts in pitch and tonality that correspond to changes in the metaphorical story, which is used to create shifts in the unconscious mind. In Neuro Linguistic Programming these acoustic envelopes are referred to as auditory anchors. During Ericksonian hypnosis, the brain/mind/body complex responds to these tonal fluctuations by shifting awareness into trance states of consciousness in which unused potentials of the brain/mind are activated and brought into play. I call this an Ericksonian Sound Exploration because it conjoins a metaphorical story based on Erickson’s method of hypnosis with a psycho-acoustic recording that plays in the background. 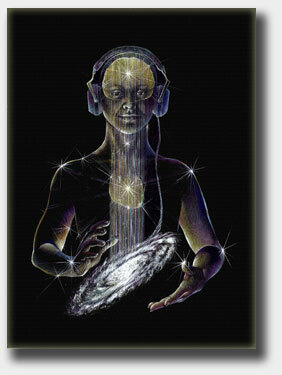 This recording was designed to increase mid-alpha activity, which enhances receptivity in the brain/mind/body complex. The “odd” pulsing sound in the background of the recording is a BioPulse™ frequency designed to stimulate heightened alpha activity through a process called Entrainment. The session begins with placing your focus in the corpus callosum area of your brain (see diagram). The corpus callosum is a thick band of neural fibers that connect the right and left hemispheres allowing them to communicate with each other and to coordinate mental tasks. It sits below the longitudinal fissure of the cortex. The diagram to the left shows this fissure, which runs from the front of the brain to the back, right down the middle. As you can see from the diagram, when the brain is viewed from above, the fissure looks like a chasm between the left and right sides of the brain. The story utilizes this characteristic of the corpus callosum by suggesting that the fissure above the corpus callosum is a valley or canyon, and the corpus callosum is the floor of the canyon. Your focus of attention is in this general area throughout the session. Most people will experience a more powerful shift by closing their eyes when listening while some persons will go deeper if they stare at a point. Play with both methods to discover which one works best for you. You can listen to the “story” as often as you like, but obviously not in situations requiring alertness such as driving a car. To receive maximum activation of your brain/mind’s potentials, it is suggested that you listen to the session many times. After listening to the story multiple times, it will generate a rich internal world of sensory experience for most people. This imaginal realm of experience has the potential to affect the brain/mind/body in complex and beneficial ways. 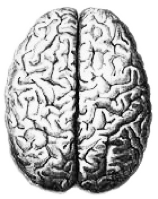 Click here to listen to and/or download Corpus Callosum: An Ericksonian Sound Exploration. This Ericksonian Sound Exploration occurred during a Hathor Intensive called Transition States. In my personal opinion the content of this workshop is some of the most compelling and important information the Hathors have shared to date. This set of 8 CDs includes many Hathor sound meditations and explorations that deepen integration of the material. The background music for this Ericksonian Sound Exploration was a psycho-acoustic recording called Creative Imaging that I developed during my years with Acoustic Brain Research (1983 -1993). This particular recording was developed to increase learning as well as improve productivity by playing it at low volume in the background. It comes with a protocol for increasing measurable I.Q. and is an effective acoustic ally for those wishing to create a sonic environment that decreases stress while stimulating increased efficiency. For more information about this unusual recording, go to the Store or click here. To view some of the research studies conducted by Acoustic Brain Research, including topographical EEGs, pilot studies and articles go to the Acoustic Brain Research tab on the home menu bar or click here.